When it’s warm inside and you’re not able to get out, investing in your very own oscillating fan can provide cooling waves of air to rotate throughout the room and cool down your entire family. 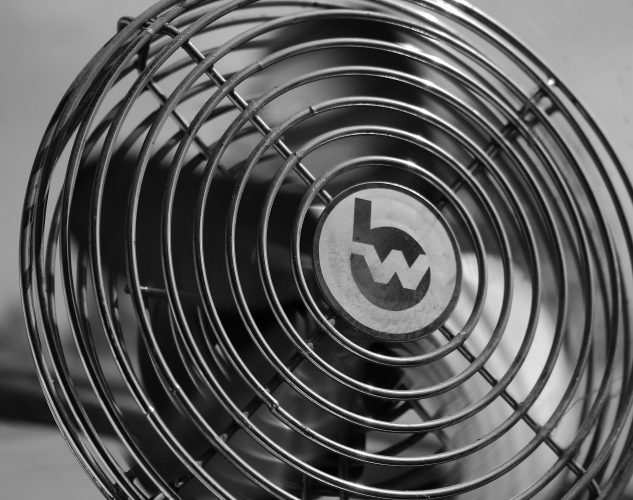 While high-tech cooling methods such as air-conditioning can be expensive, oscillating fans provide an affordable yet effective solution to those hot and humid days. With that in mind, I’ve constructed an easy to read guide containing the best oscillating fans, and what you should look for when buying one. If you’re looking for the best all rounder and good value for money we highly recommend you to check out the Comfort Zone Pedestal Fan – which is the final top pick in our product reviews. This particular oscillating fan is also one of Amazon’s best sellers at the time of writing. You can find a quick link direct to the item on Amazon here. 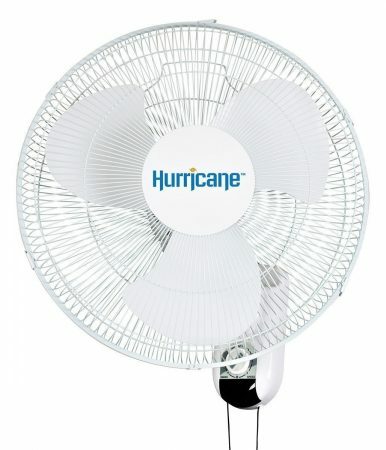 This is one of the most great value and affordable oscillating fans you can buy. With its stylish black finish and modern design it will fit perfectly into any home. It has 5 speed settings for optimum cooling and it is fairly quiet, perfect if you want a more peaceful atmosphere. Along with its oscillating feature it also comes with an auto shut-off timer which is useful for conserving energy if you leave the room and forget to turn it off. This is a great affordable fan that is perfect for the living room or any large communal living space with a lot of people sharing. 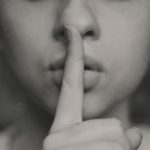 Although it is mentioned as being quiet we wouldn’t recommend it fully to be used in a bedroom as the bright panel display could end up keeping you awake or giving you a restless sleep. That being said we think this is a great oscillating fan to invest in for your home. If you are looking for a higher quality oscillating fan then take a look at the Costway model fan. It has a sleek and more polished feel to it. The overall build quality is great, with the extra weight in the base making it extra sturdy. It’s extra powerful too, thanks to the use of double fan blades. The nice little additions are that it comes with a remote control for full control from the edge of your couch. This remote allows you to change the speed, timer, oscillation, mode and a power button to use the fan on the fly. There is also the option for a user-friendly timer setting this is always useful to have on any fan that will most likely be left on for hours at a time. We don’t have much to fault about the Costway fan. The only small detail is that you have to replace the batteries in the remote control but that is such a small price to pay for such a great luxury! This is a great option that we recommend for a slightly more premium price that will satisfy your ultra cooling needs and more. 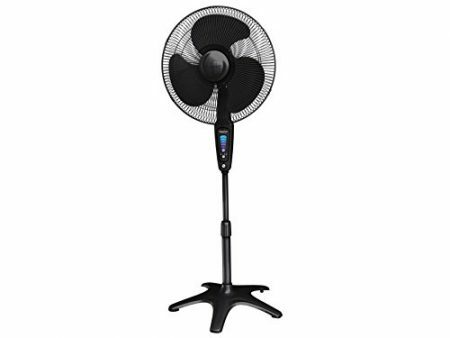 This is a very affordable standing oscillating fan with 3 speed settings to adjust accordingly. It has a wide oscillation range and has an adjustable height, which is great if you are sitting down watching TV or want to cool down while working at a desk. It comes with a sturdy base and assembles easily without needing the use of tools to put it together. More suited to a living room or communal area instead of a bedroom because it’s quite loud. If you are looking for a fan on the budget end of the scale this may be the one for you. It doesn’t compromise in cooling needs and it still gets the job done. We recommend the Lasko Performance fan for a cheap and effective appliance to cool your home. Have a small bedroom or office that feels like an oven in the summer heat? Then a wall mounted oscillating fan may be the answer. Without sacrificing valuable floor space you can purchase one of these to take away the roasting temperatures and replace it with a chilling oscillating air flow. With its powerful 3 speed motor and 90 degree tilting angle it can provide the cooling you need in the smallest of spaces. It sports a sturdy steel neck base, a 5 foot power cord and is also pretty quiet even at the highest setting. If you only have a small space to work with this wall mounted oscillating fan will provide optimum results for a fairly reasonable price as well. We recommend this one highly and it’s one to definitely look into! As a budget fan this Comfort Zone Pedestal Fan doesn’t disappoint. It gets cool air circulating in your own home, within minutes of easy setup using a pre-assembled quick folding base. The foldable base also makes it easier to move the fan from room to room. 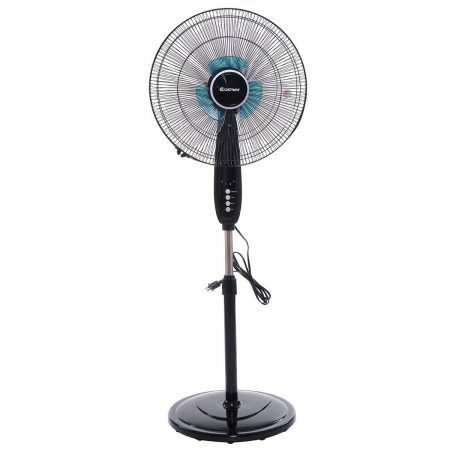 It comes with 3 speed settings which is great for a budget fan along with oscillation and adjustable height and tilt angles. This is a great fan to purchase as your first in a new home. 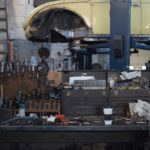 It’s got most of the main features you would expect in a more expensive product but doesn’t compromise too much on quality. Overall we highly recommend this fan for a quick solution to the warmer weather. 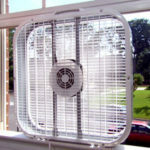 In this section we’ll be explaining some of the most important aspects when it comes down to choosing an oscillating fan. Each of these fans come with a wide area oscillating angle, which helps cool air flow throughout the whole room. One of the biggest factors when it comes down to choosing your oscillating fan is noise. 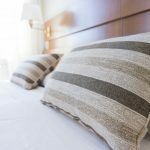 This also depends largely on where in your home your fan is set up, if it’s in the bedroom you are going to want to look for a quiet fan while you sleep. If it’s going in the living room you wouldn’t have to be too picky about the noise it makes. If you’re specifically looking for extra quiet fans, check out our guide to the quietest pedestal fans. Oscillating fans come with multiple settings which alter the level of speed and circulation of cool air. While most models include a few buttons on the side, more modern oscillating fans come with an LCD screen and a remote control. If you want to spend a little extra, these make it a lot faster and easier to control the breeze without using extra effort in warm weather. Again this is another factor that could depend on where your fan will be used in your home. Do you have enough room for a full size pedestal fan? Or do you only have space for a wall mounted oscillating fan in the corner? There is an oscillating fan that will suit all room types and space available. A key feature to look out for is adjustable height and angle, giving you optimum airflow to exactly where you want it. You may want the angle slightly lowered if sitting down watching TV, or you may be standing doing some ironing or other household chores. With adjustable angles this helps make full use of your oscillating fan. This is achieved much more easily with a fan that has an oscillating feature than regular static ones. This allows a much larger area to be covered and will bring the whole room temperature down faster and evenly. Oscillating fans can be a cost-effective way to help ventilate your home, keeping your air fresh and breathable. 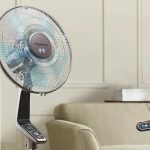 Out of all the oscillating fans we reviewed today, the one that stood out to us the most compared to our quick recommendation was the Costway Adjustable Pedestal Fan. This is because it came with all the great features you would want in a fan and more but the drawback was the higher cost. We hope we have covered every topic you may have been asking yourself before purchasing an oscillating fan perfect for your home. Now it’s just up to you to decide which one that may be.